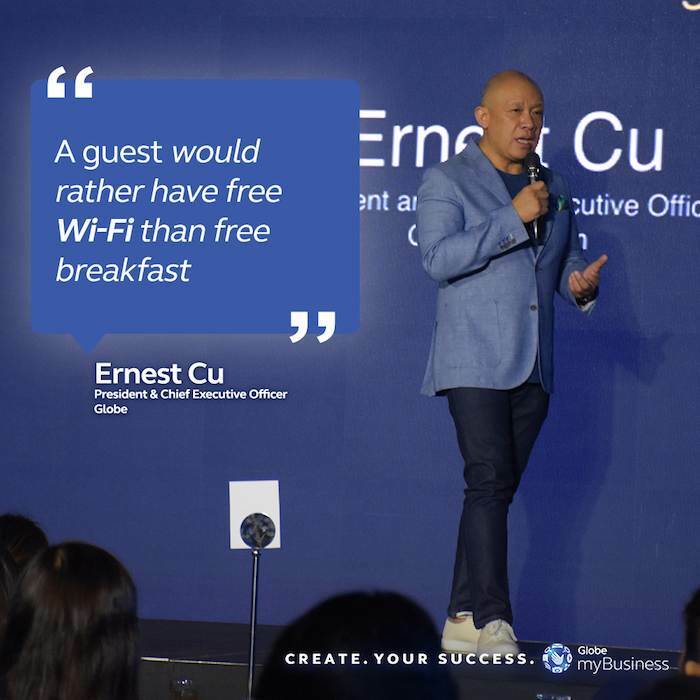 Leaders of the Philippine tourism industry, together with Globe myBusiness stakeholders, gathered to explore and champion technological solutions that will help shape the future of Philippine tourism. The jam-packed event, which was held last March 21, 2019 at the SMX Convention Center in SM Aura, saw travel and tourism experts take the stage. Sustainable tourism must be the norm, not the exception. 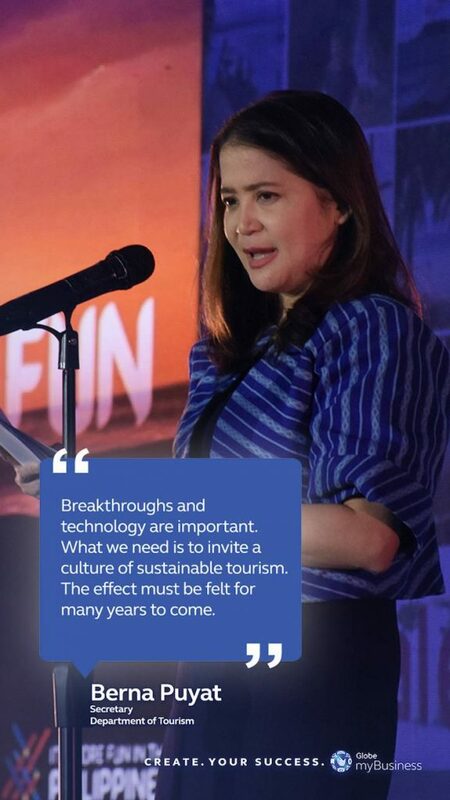 Department of Tourism (DOT) Secretary Bernadette Romulo-Puyat was the keynote speaker for the event. She generously painted a picture of how the efforts to revive Boracay was painful at first, but it has benefitted the destination in the long run. Don’t underestimate the power of a rave review—or rant. Filipinos are fond of giving unsolicited advice or tips, and as Destination Marketing Manager for TripAdvisor Gary Cheng said, the strength of TripAdvisor lies in its authenticity—the reviews it gets from its users. While most people are spurred to write a review just to criticize, users are able to discern and choose which ones to believe. Ultimately, this sways their decisions on what to do or see, or where to go or stay. Infrastructure must keep up with the demand. “We are a prisoner of our own tourism,” Raoul Villegas, executive director of PricewaterhouseCoopers (PwC) boldly stated. He went on to say that government support is crucial when it comes to keeping up with the demands and standards that tourists have come to expect when traveling. There is also a need to improve on a number of aspects, like adding more airports, for instance. Filipinos will always love a good deal. Desiree Bandal, head of Government Policy and Government Affairs of Air Asia, echoed what most Filipinos love: getting the most bang for one’s buck. Low-cost airlines have opened the doors for more Filipinos to travel, while prioritizing experience over luxury. No-frills airlines such as Air Asia create this exciting opportunity. Put the tools provided by social media to good use. In recent years, Instagram has created avenues for small businesses to flourish. 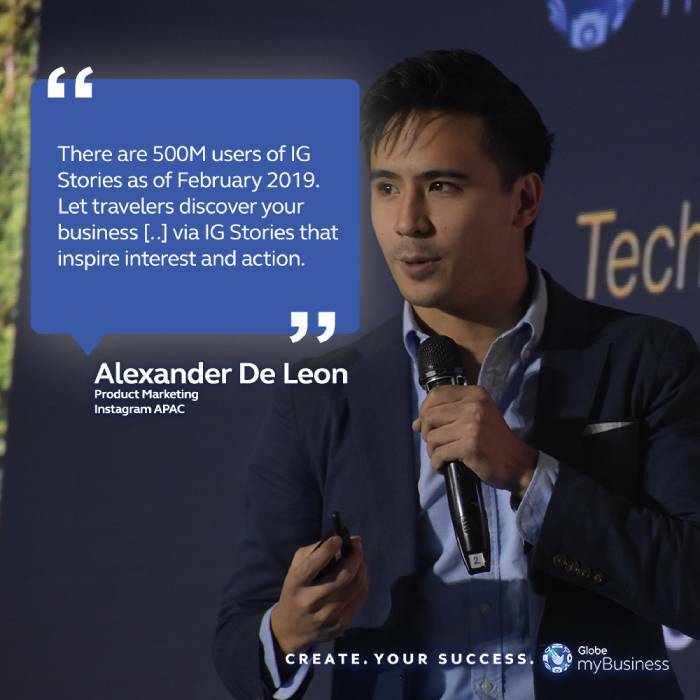 Alexander De Leon, product marketing manager of Instagram Asia-Pacific, said that the hugely successful social media platform can drive customers—by the droves—to your business. Instagram posts, Stories, promos, links, and even geotagging greatly helps create awareness. Employing Instagram ads also puts your business in front of your target market without much effort. Gino Borromeo, McCann Worldgroup Philippines’s chief strategy officer, presented trends in traveling. According to Borromeo, solo female travelers and “babymoons,” among other trends, are taking precedence this year. But one thing has remained constant: experiential traveling. An ideal destination need not just be Instagrammable; it must be also unique and memorable enough for a fickle-minded traveler to bookmark. Give tourists the opportunity to help out. In the talk of Hanniel Almasco, Master in Public Management and environmental officer of El Nido Resorts, she stated that even with the growing number of visitors that head to El Nido, Palawan, environmental protection is an attainable goal with the help of tourists . Partnering with tourists to promote responsible tourism can also be done elsewhere. Sustainable tourism is doable and is cost-effective in the long run. Some stakeholders unfortunately put profit above all else. 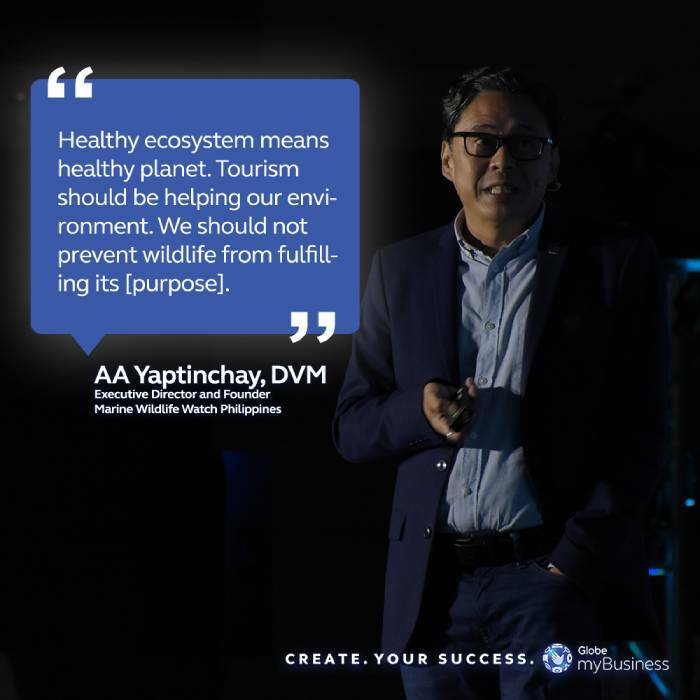 However, AA Yaptinchay, Doctor of Veterinary Medicine and executive director and founder of the Marine Wildlife Watch Philippines, warned that disregarding the environment might seem cost-effective at first, but that also means essentially killing off your livelihood in the long run. Proper protection of marine life, for instance, will benefit both the ecosystem and the stakeholder. As a tropical country, the Philippines has a diverse ecosystem. Marine creatures, like sea turtles and colorful corals, are great tourist attractions, said Yaptinchay. But while these are pretty to look at, tourists should be mindful enough not to disturb or destroy them; and stakeholders have the responsibility to protect this biodiversity if it is to continue being a tourist attraction. Identify what you really need, not just what you want. For more expert advice, sign up to Globe myBusiness Academy today.